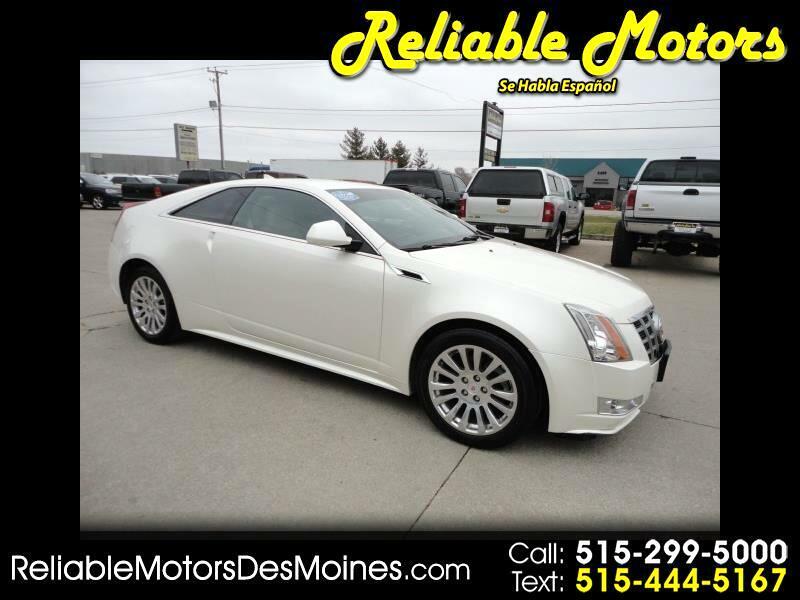 Cadillac's CTS Premium AWD Coupe for 2012 grabs your attention in White Diamond Tricoat. Take in the edgy look with crisp muscular lines while under the hood you will be treated to a powerful 3.6 Liter V6 that offers 318hp on demand while connected to a quick shifting 6 Speed Automatic. This allows our coupe to sprint to 60mph in under 7 seconds. This All Wheel Drive machine is a true sports car with beautiful 18 inch wheels, limited-slip differential, and performance suspension. Inside, it is Cadillac all the way with gorgeous soft touch materials that are accented by exotic wood trim. CTS Premium adds in Recaro Sport Seats, alloy pedals, and even paddle shifters to add to sports feel. You will love the Bose Audio system with Bluetooth. The engineers sculpted the vehicle just for you.